Open Saturday and Sunday, 9 am to 6 pm; Prepicked berries available! Not enough berries? Buy some prepicked blueberries! 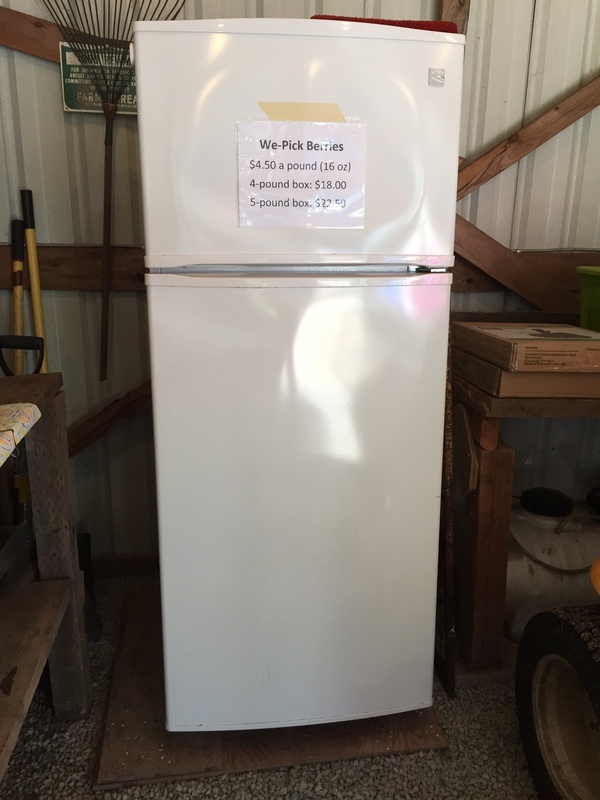 You'll notice a change in the berry shed: we have a refrigerator in the back. It allows us to keep prepicked berries cold to preserve freshness. Four to 5 days a week, we have someone in the field picking blueberries. Unsold berries are frozen. 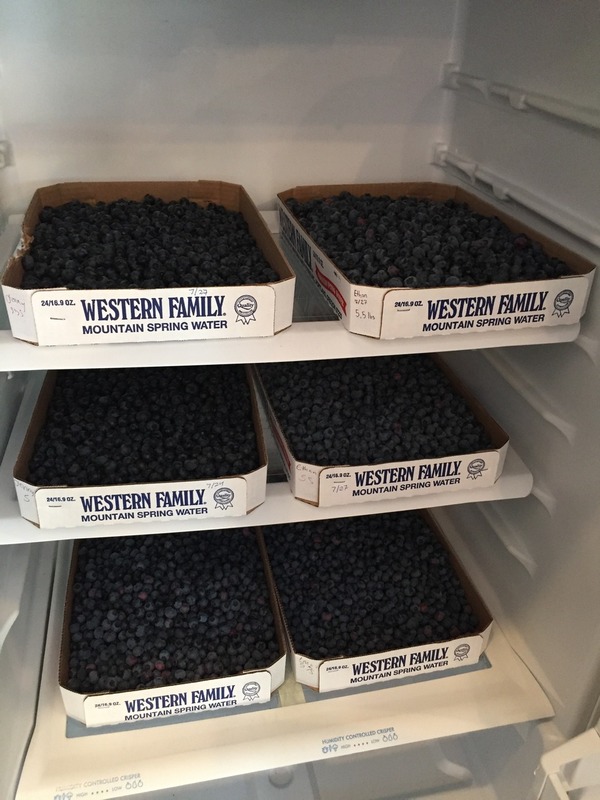 We sell prepicked (called we-pick) blueberries for $4.50 a pound. Now you can grab a box of prepicked berries to add to the berries you just picked!